It’s not uncommon for people to accidentally delete data off their ios device. In fact, it’s more common than you think. What happens if that does occur? 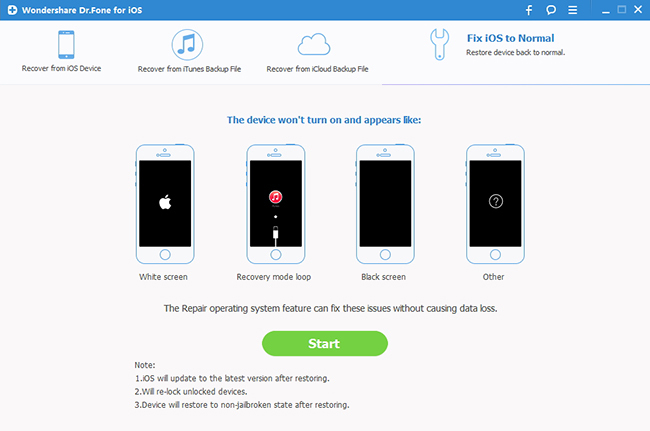 Meet Dr.Fone, the world’s first iPhone and iPad data recovery software. Dr.Phone is a full solution to recover deleted contacts, messages, photos, notes, etc. from iPhone, iPad and iPod touch. Dr.Fone for iOS is the more comprehensive data recovery solution in the market. You can recover lost data directly from iOS devices or retrieve backups from both iTunes and iCloud. In just a few clicks, what was lost is suddenly found, pretty cool, right? The most common method is to connect the device by USB to a computer, at which point you can export any recoverable files. If you use this method, you can salvage files including contacts, reminders, WhatsApp history, messages, call history, Safari bookmarks, notes and calendars. 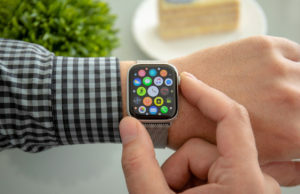 If you’re unable to perform a direct export from your device, Dr. Fone can utilize backup files embedded in an iTunes backup, whether on a computer or an external hard drive. 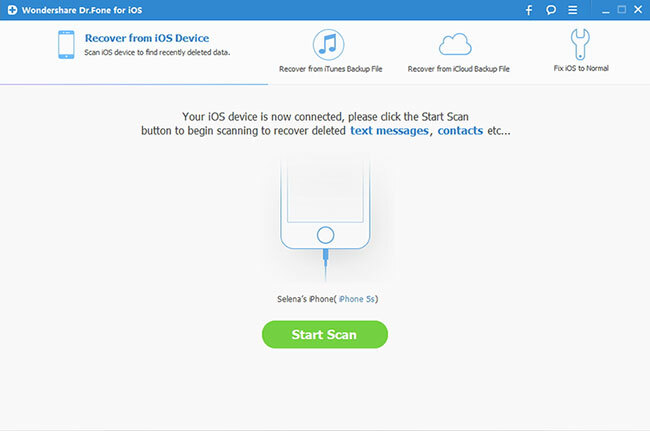 The iPhone recovery software can also obtain backup files from iCloud. Both of these backup methods can recover all the file types that are recoverable from a direct scan, in addition to iMovie, iPhoto, Camera Roll, photo stream, Kindle, Keynote, voice memos and voicemail files. Recovery via these methods is contingent upon the device having previously been synced to either before data loss occurred. Dr. Fone also features a preview function, allowing you to peruse the deleted files before recovering them so that you know exactly what you’re recovering. This cuts down on unnecessary storage and allows you to verify each item to ensure its value. This feature is particularly useful if you want to recover iPhone photos lost due to accidental deletion. One-stop data recovery solutions is full of hints and tips to walk you through the iOS data recovery process. For example, if you are backing up from iTunes and the backup files are encrypted, your Apple ID passcode will be necessary. Wondershare’s website includes directions for how to change your Apple ID passcode, in the event that you have forgotten the existing one. 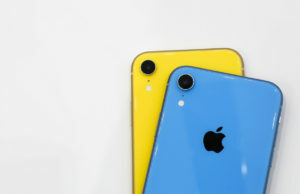 Directly Recover Data from iOS Devices: Connect your device and scan it for lost data on it. 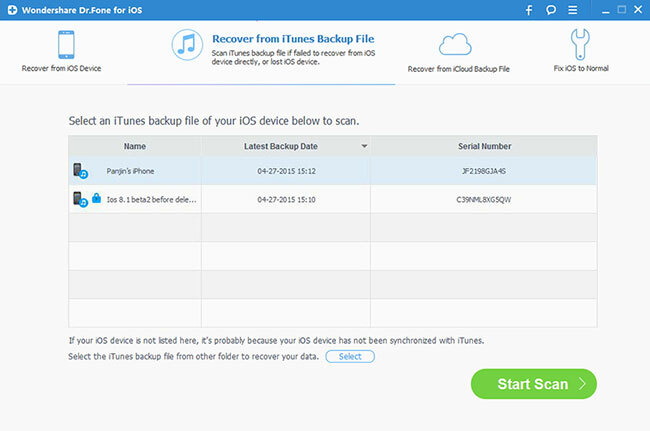 Extract Data from iTunes backup: This iPhone data recovery tool can extract all contents in the iTunes backup for preview and recovery. 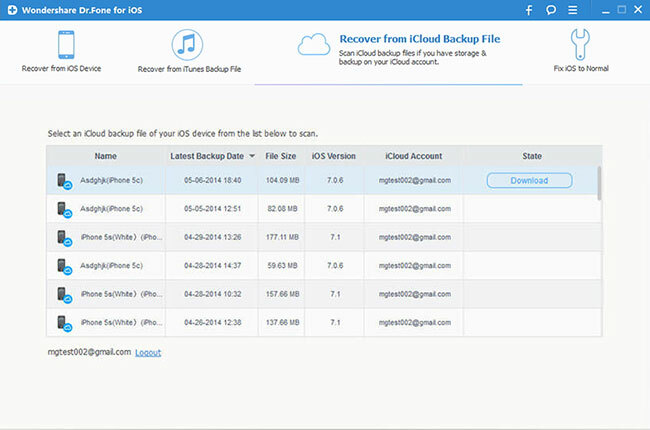 Retrieve Data from iCloud Backup: Data in an iCloud backup also can be extracted by this iPhone data recovery software for preview and selective recovery. 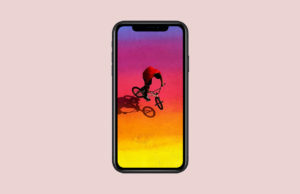 Preview Data before Recovery: The iPhone data recovery program allows you to preview all data from your iOS device, iTunes and iCloud backups, and then recover them on PC. Wondershare’s website takes great pains to assure you that your privacy is thoroughly protected, through both data encryption and advanced fraud protection. Such claims may well be the distinguishing factor that sets Dr. Fone apart from its competitors.